The Pink Pages™: Great News Keeps Coming after The Pink Event® 2014! Great News Keeps Coming after The Pink Event® 2014! 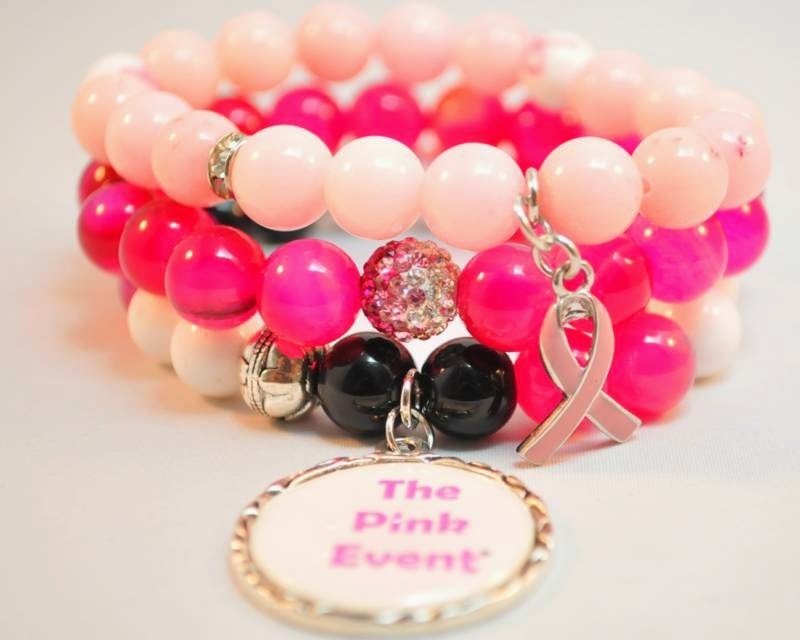 Pick up our signature bracelet at www.thepinkevent.net. Great things continue to come out of last month's women's expo, The Pink Event® 2014. First off, The Pink Event has it's own online signature shop! Not only does it feature our amazing swag bag totes (a must-have in case you didn't get one at the expo) but there are also gorgeous Pink Event signature bracelets. These lovely bracelets were made exclusively for The Pink Event by Euphoric Treasures. Visit our new shop now to get the lower introductory price! Secondly, if you came out to the expo, you might have seen Aqueenis from blog radio show R.I.B. Radio interviewing exhibitors and attendees at our fantastic women's expo. We've just heard that the radio show has a great list of videos, featuring our exceptional exhibitors! Whether it was Traci Lynn fashion jewelry, Diva Fashion Collections, Natasha's Just Brittle, or Scentsy, RIB Radio made the rounds and showcased the awesome shopping that is a signature part of The Pink Event! We'd like to thank RIB Radio for coming to our ultimate girls' day out and for having the event founder, Tamika Josephs-Smith, come on and talk about the event ahead of time. Check out more great photos of the event at our Facebook page.